Pools of toxic algal bloom which sometimes occur when there is an upwelling of nutrient rich phytoplankton, turn the water an unusual reddish brown colour. These red tides cause depletion of oxygen in the water which is harmful to filter feeders and crustaceans. Tons of of rock lobsters and other shellfish become casualties and the beaches fester with the die off of many of these species. The “Cape Doctor” (as the south-easterly wind is fondly known) has been in fine form this summer. It’s blustery dynamic speeds have reached galeforce and tempered by the South Atlantic anticyclone weather system hanging off the peninsula, the seas have responded in huge curling waves. A breed of hardy daredevil windsurfers come out to play – while the spectators marvel in awe at their finesse in this scene at Platboom beach. A canopy of sea bamboo afloat on the sea surface. 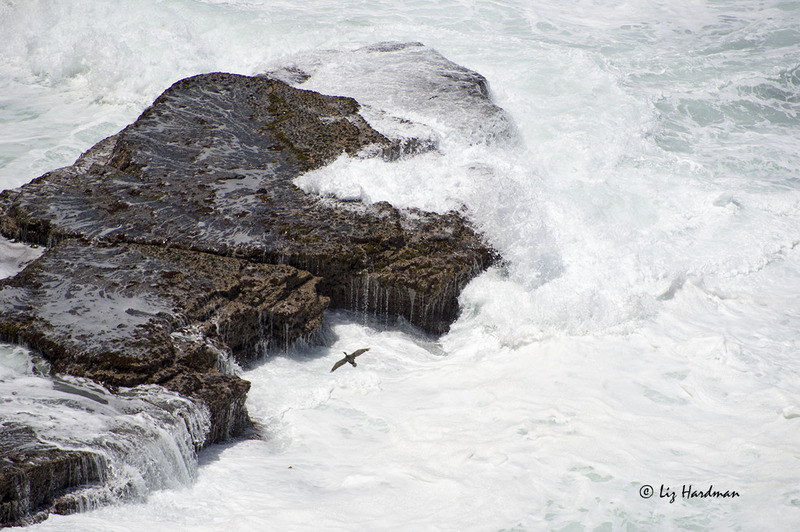 Here along the coastal edge of the Cape peninsula, kelp forests create unique ecosystem and provide a sheltered habitat for smaller creatures from the force of breaking waves. 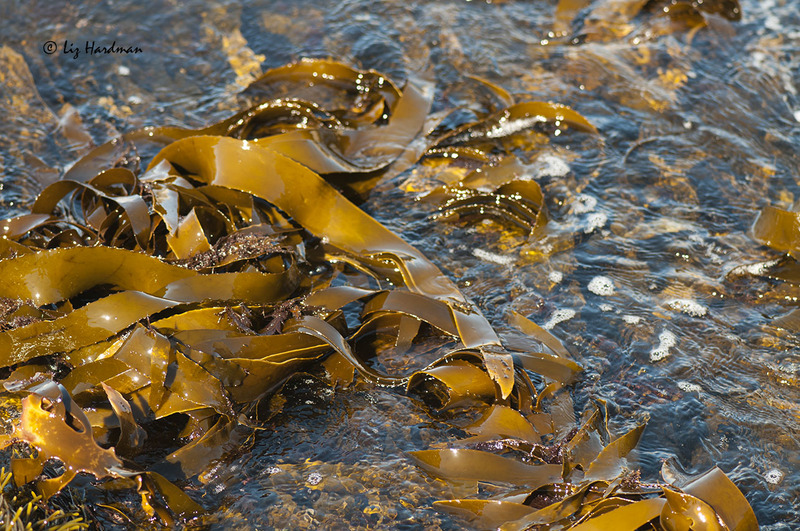 The photo shows the top fronds of the canopy afloat on the surface of the sea at low tide. It has a neat construction where hollow gas-filled stalks expand into bulbs at the top which then act as floats for the strap-shaped fronds. Creatures such as rock lobsters and sea urchins, mussels and sea cucumbers are typically associated with sea bamboo. “Afloat” was this week’s photo challenge; to find out more click here to follow the link. This is my second post for this week’s photo challenge: Object. What catches your eye in this shot? The South West tip of the Cape Peninsula is one of those places, at the edge of the cliffs, with the thunder of the waves below, that sends chills down my spine!